The Vendée in the Pays-de-la-Loire has released a booklet of cycling routes across the department, writes Lynette Eyb. The booklet, Les Sentiers Cyclables, features 22 cycle routes across the department for cyclists of all abilities. Each bike route is rated for difficulty, with each route profile carrying distance and terrain information. The booklet is in French, but the maps are clear and easy to follow, and the accompanying information is presented clearly, making it easy for non-French-speakers to figure out. Le circuit du Bocage: 553km long and passing some of the area's key historical attractions, including Puy du Fou, the Logis de la Chabotterie, and Château de Tiffauges. You can also download the booklet from the French section here of the tourist board's website - click the green box on the right with 'télécharger' underneath it. The Vendée Guide website, which is not linked to the tourist board, also has an interactive map of the cycle routes. See our links to bike hire shops in Pays-de-la-Loire. 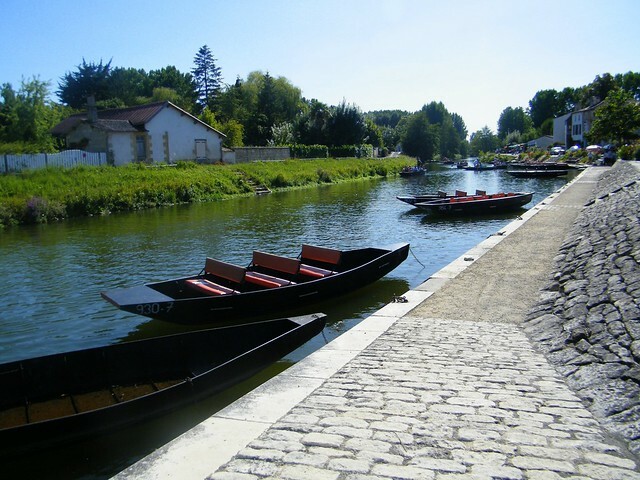 For more information on seeing the Loire by bike, see John Higginson's Cycling the River Loire (UK, US) – and see his article for us. There's also Richard Peace's Cycling Southern France (UK, US) which covers bike routes from the Mediteranean to the Loire, and Lonely Planet's Cycling France. Michelin's French Atlantic Coast also touches on the Vendée. For generic tourist guides to Vendée, see Angela Bird's The Vendée and Surrounding Area. There's also Judy Smith's Vendée and Charente-Maritime Landmark guide. See also the Footprint and DK Eyewitness guides to the Loire. For French readers, there's Le Petit Futé's Vendée. For maps, Michelin have a Loire regional map, as well as a Loire-Atlantique/Vendée map. IGN also has a Vendée map as well as a 2011 Pays de la Loire map.